Oh my goodness. I was browsing through Pinterest the other night, like I always do. 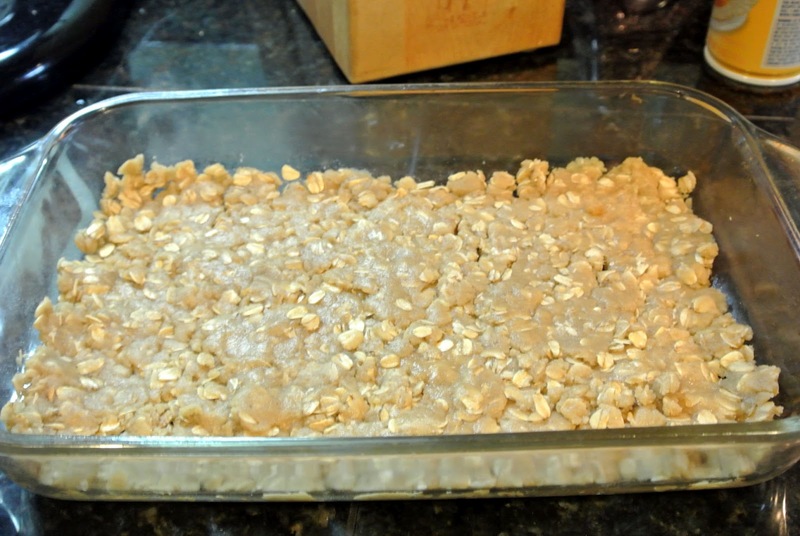 And my eyes came across a picture of Carmelitas. 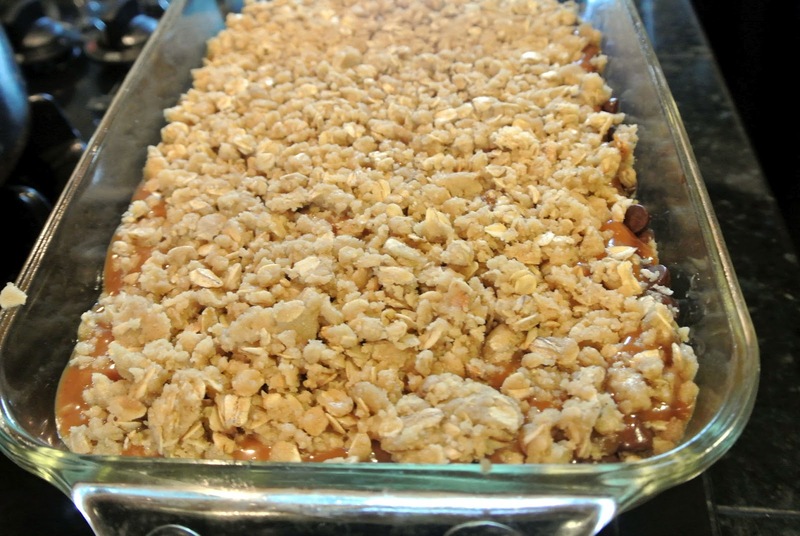 Since my husband is a caramel addict, I thought I would give the recipe a try. Course him asking me if I would make them with his beg face helped too. 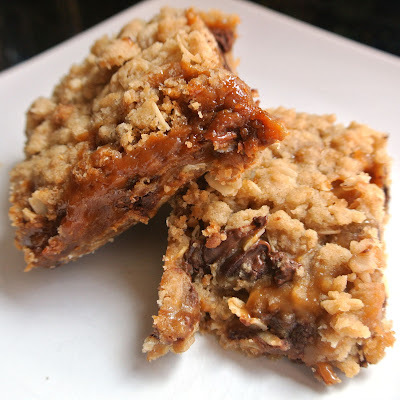 If you like Caramel and Chocolate... this is your treat. My husband said that this is now his favorite thing I have ever made. His previous favorite Chocolate Pots de Crème will now be in second. 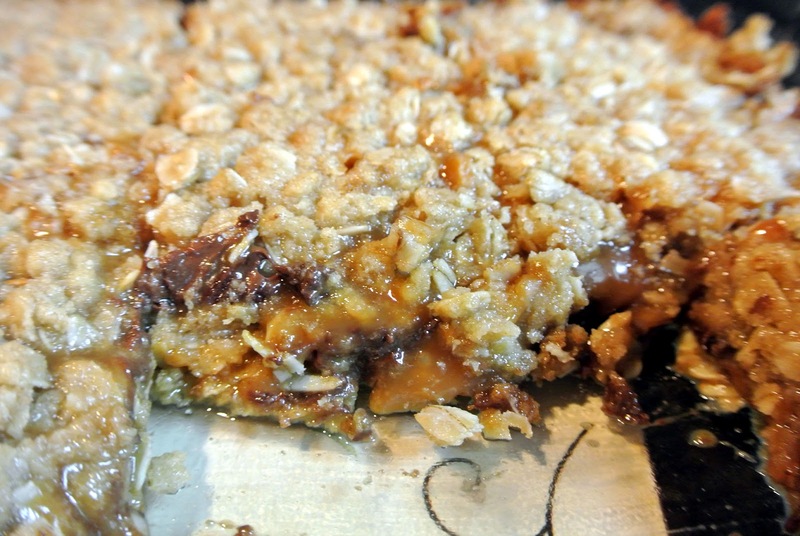 This recipe is gluten free and will drive any caramel and chocolate lover into complete bliss. adapted from LuLu the baker. Note: I used Kraft wrapped caramels because they are gluten free. Combine unwrapped caramels and cream in a small saucepan over low heat. 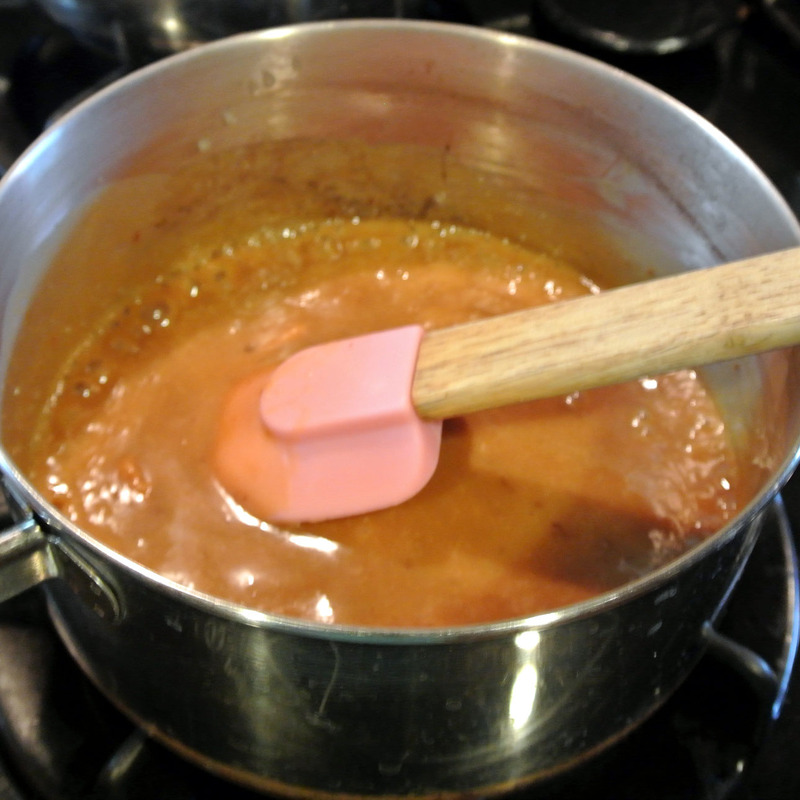 Stir until completely smooth; set aside. 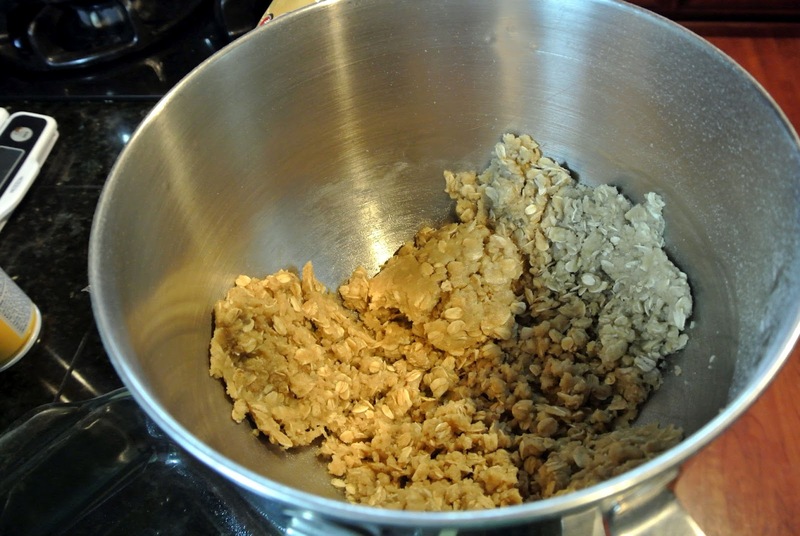 Pat half of the oatmeal mixture into the bottom of an 11x7" pan. Bake at 350 degrees for 10 minutes. 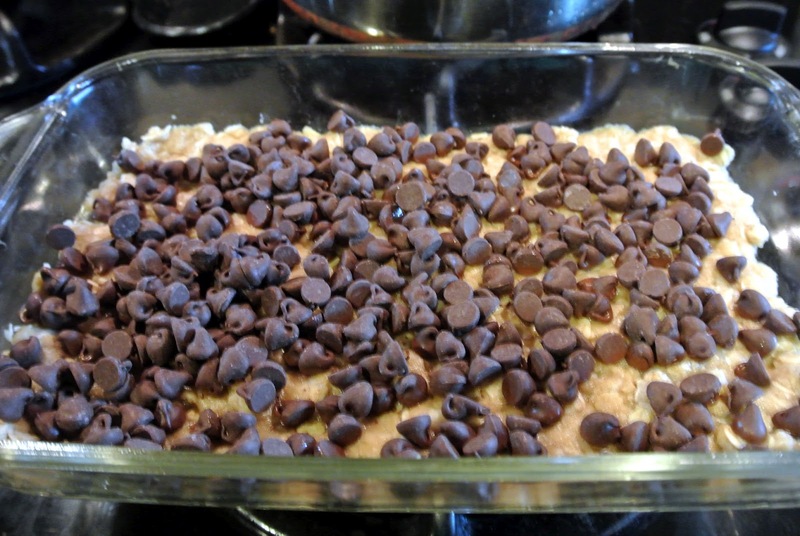 Remove pan from oven and sprinkle chocolate chips over crust. 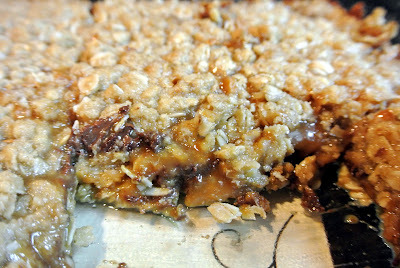 Chocolate, Caramel, Ooey Gooey Yummy. do you think another brand of gluten free flour, or blend (I use Carol Fensters sorghum mix) would work? We can't get Maninis in Ontario....I love choco and caramel!! Yes Trish, you can use other brands. I just like to state which one I used. This dish is not flour dominate so any should work. In Ontario, Kraft Caramels aren't gluten free - they contain "modified palm oil" that the company says may be from a gluten/wheat source. 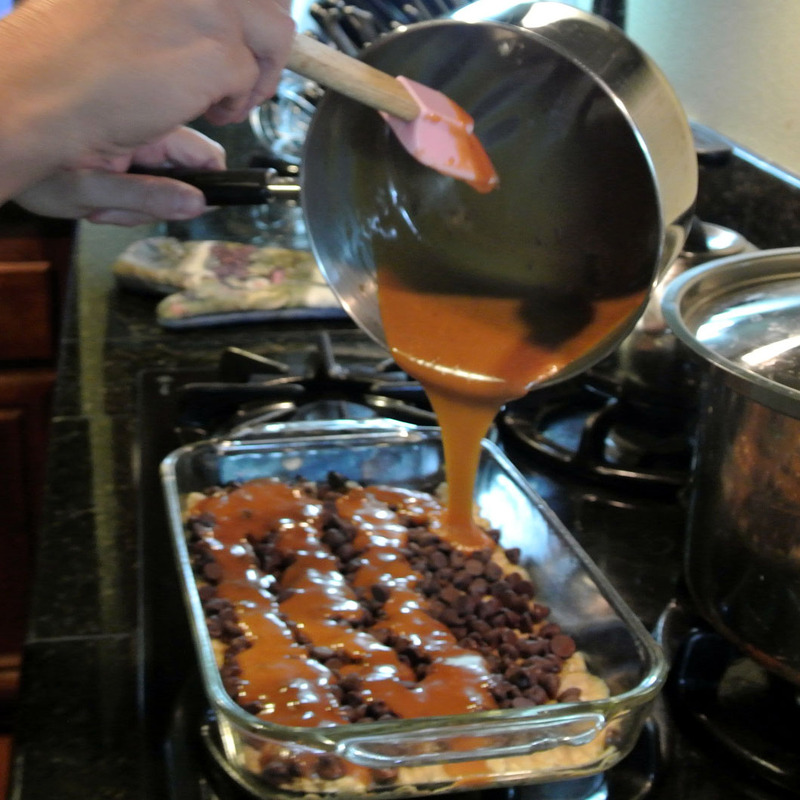 I used MacIntosh Toffee (which is definitely gf)and they were divine :-) The pieces were bigger so I used 25 wrapped pieces.